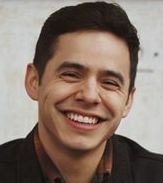 David Archuleta & A Celebration of Christ ~ An Interfaith Concert TODAY! David tweeted about this weekends concerts! And surprised us with a twitter party! Look on the right sidebar to see his tweets. There are many many fans going, some with great video taking reputations. Will be following twitter for any news. Click on the links below for event details. Purchase your tickets at “ARTTIX” and enter PROMO CODE “DBOOK” for 20% discount. 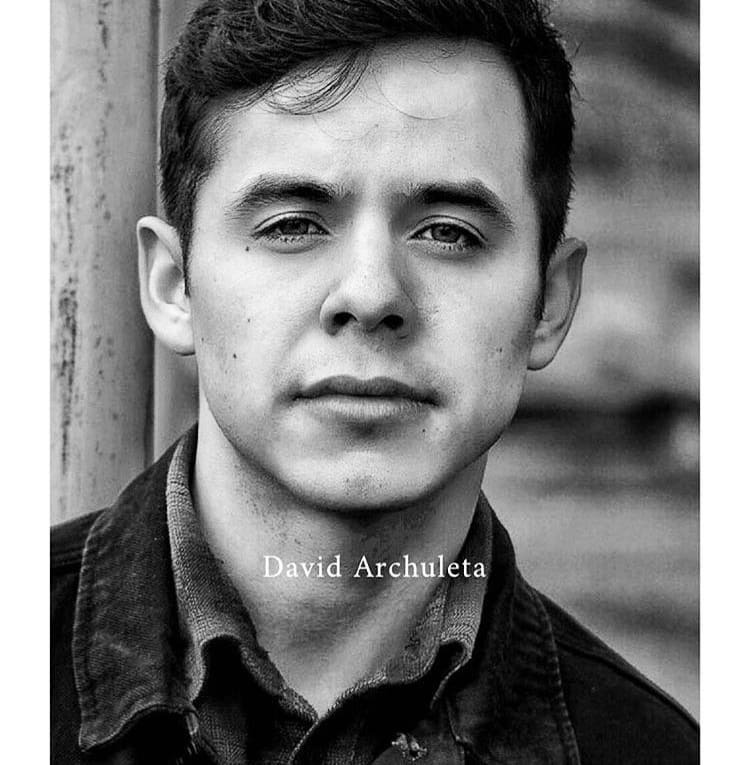 This entry was posted on Thursday, November 27, 2014 at 2:18 PM	and is filed under @DavidArchie, concerts, fillers, music, The Voice, Uncategorized. 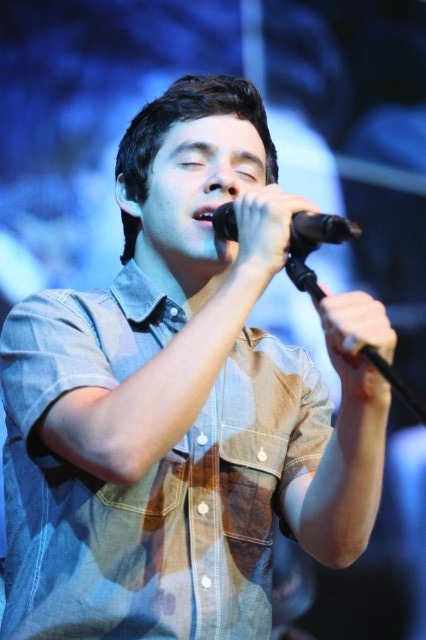 Tagged: #Glorious, 3 CONCERTS, 4 SONGS, @DavidArchie, CHRISTMAS, David Archuleta, HEADLINER, Interfaith, music, the Voice. You can follow any responses to this entry through the RSS 2.0 feed. You can leave a response, or trackback from your own site. Are those pictures just too precious!! In that bottom one, it looks like DA is conducting a bit, or leading them with him through a passage of “playfulness”. Oh! Jamming reaches a new level with DA!! Happy for all those going tonight!! Thanks Djafan for all the info and great videos! Can’t wait to hear about the shows from our fan friends. Fenfan is this the look you liked? I’m anticipating tomorrow with excitement! Saturday afternoon is still 36 hours away, but I can do it. 🙂 I’m so grateful to have spent the time with my daughter and one son and their families yesterday, but am ready to travel home. I must be getting really old, because the confusion has peaked and I’m ready to leave it behind. OR, perhaps, I’m just excited for tomorrow! So who is excited today?! And i just checked instagram and I got a reply! @djafann @janey7979 A DVD will be available to purchase soon after the show! Though I am hoping for vidoes! Hoping for videos too! Let me rephrase that. Hoping for videos taken by David’s fans, since the camera will be focused on him. The commercial video will be the whole show and not David-focused. Congratulations to those who have tickets for the concert this weekend, including Tawna, Dayzee and Bluesky! I’m with Fen. I like the look in #3. If he wants to be buttoned up, the tucked in tie is perfect! And NO TAN PANTS! Abrra, that is a beautiful theater, acoustics must be great. Blueskt, all eyes on David! I am all pins and needles waiting for tonight!! Several of us are going together (we all met through David events and love each other dearly.) My daughter and her two children are also going to be there tonight. so incredible, I can’t wait to share them with you. I am so looking forward to seeing and being with many fans from outside Utah tonight. Hope everyone had a wonderful Thanksgiving!! Ah have a great time Pattirae4dja! Very happy you will be able to watch! Same goes to all who have gotten tickets to the show! 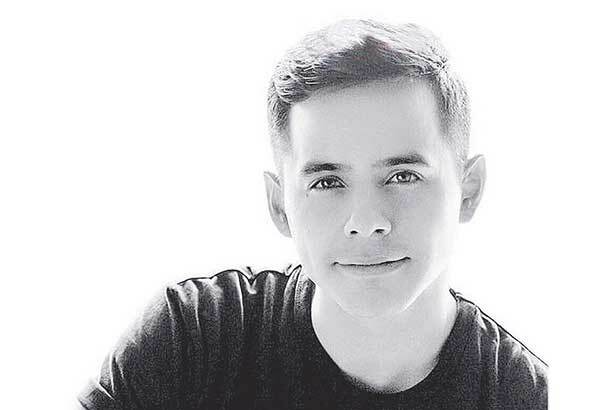 For all of us who cannot be there at this time, please beam, scream and clap our love for David! Don’t you go talkin’ smack about the red pants! I love that he word them in Costa Rica. Things are starting to heat up in Utah. I’ll be adding things as they show up. Omg we heard him singing!!! I gotta hold my daughter back!! She wants to go knock on the stage door to see if she can get a selfie with David! Kids these days…. Hahaha That’s sooo funny about Shelley’s daughter. I can imagine how excited she must be! Can’t wait to see your daughter’s drawings! To everyone going, I hope you all have a blast at the concert! I love hearing about everyone’s concert experiences so I hope we get the scoop from all of you! Oops, Pattirea, I meant Granddaughter!! What is wrong with me today???? Hahaha I need to lay off the turkey and cranberry sauce. Finished up rehearsing for show #1 of the Celebration of Christ Christmas concerts. Show time coming up in a bit! Have a great time everyone who’s going tonight! That DVD would be a nice background for decorating the tree! Fen, that cranberry shortbread is a keeper! Thanks! MT, what’s wrong with red pants? #19 Djafan, Straining to hear David was well worth it! Thanks for posting it! His VOICE! There is something different. Better. (Was that even possible?) Matured. Lovely. Can’t wait to experience this “new” sound in a concert hall. Or even outside. As long as I can have the chance to see and hear him sing in a live setting again I will be ok.
Oh, and just in case, David, please, also no neon colors or yellow pants. 🙂 Thanks! Love this! 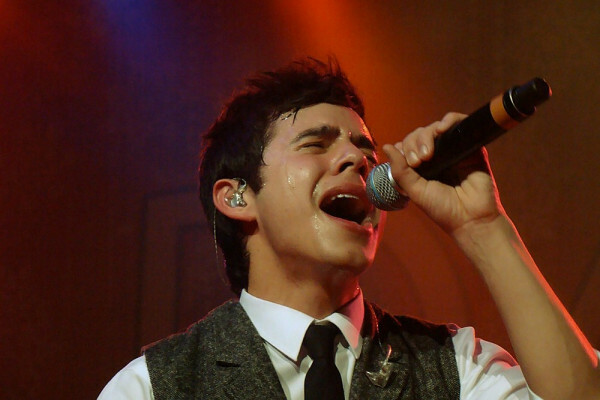 Don’t they realize its another “Not a David Archuleta Concert” ? I didn’t get a chance to say congrats! So happy you have tickets! Oh to be there right now!!! 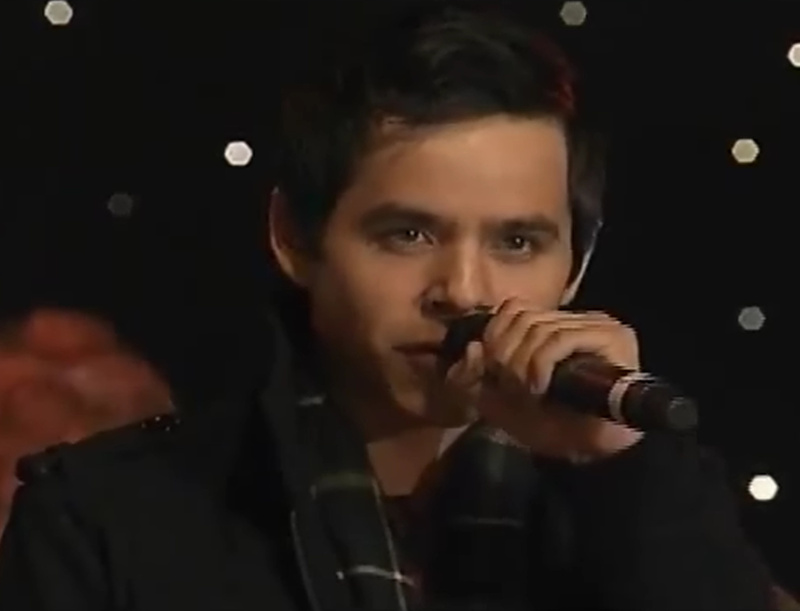 David sang The First Noel and did that beautiful humming at the end. Did you hear The First Noel??? 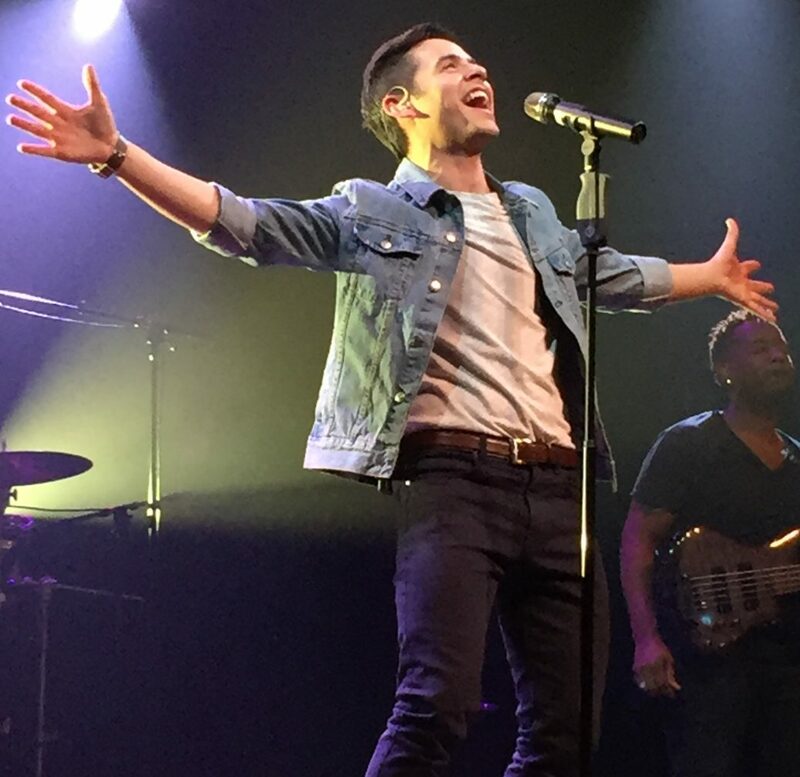 He sounds glorious…oh wait, that’s the other song he’s singing tonight! 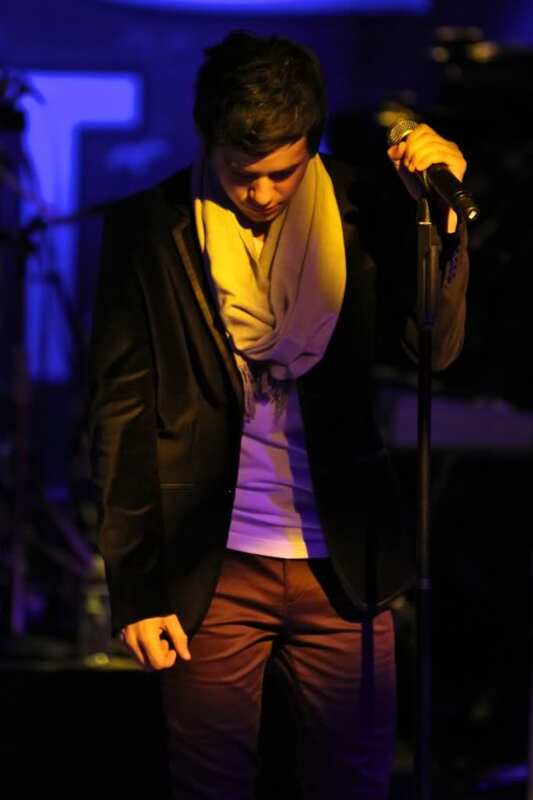 No really, he sounds absolutely beautiful…his voice….amazing! The humming at the end. And how awesome are the fans for getting videos up so quickly? his voice has matured, I have a silly question: his hands are bigger? Love the piano, love the violin, LOVE HIS VOICE. He dropped it down at the end and what the heck. Yikes, that echo hurt his ears! Seeing David where he belongs — on the stage — just brings tears. 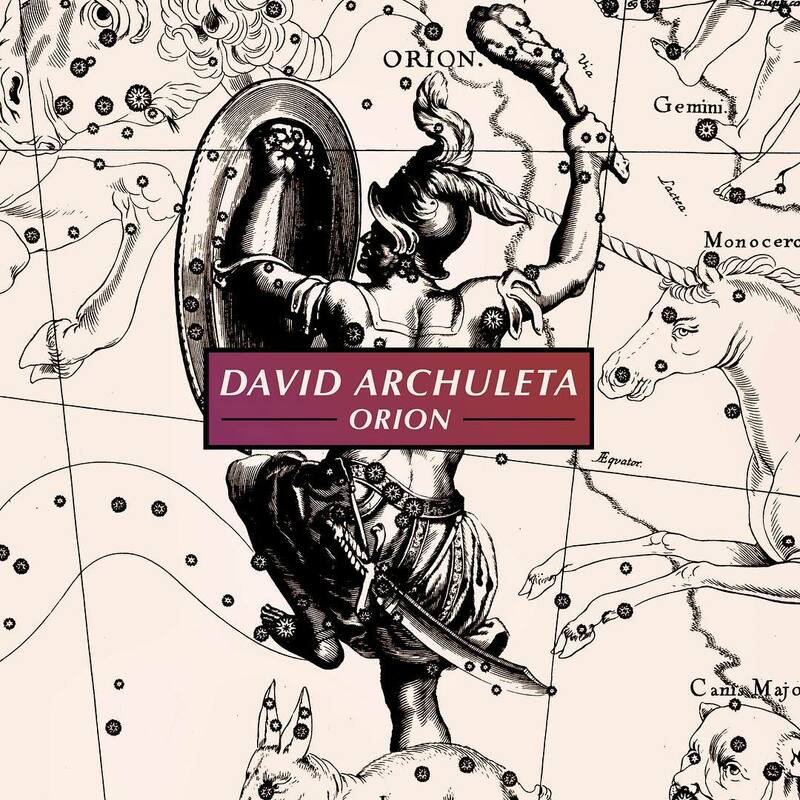 Such a beautiful arrangement of Do You Hear What I Hear and the incredible voice of genius David — perfection! Many thanks to the fans for the videos — we are blessed. Not sure what to make of that arrangement of DYHWIH, definitely different, but Wow, his voice is so gorgeous! No surprise though. It just keeps getting better. And I love what he did with his voice there. So, folks, do you hear what I hear? Because what I hear is beautiful! The video in #48. Am I seeing things or did David look directly into Lisa’s camera and smile. 😀 hahaha He knows! Abrra’s Candy Jar has the 5 songs in mp3 format from tonight’s concert. Thank you for the mp3s!!! I saw that too! He looked directly into a camera! Yes, he’s right where he belongs, on the stage. The humming, the wails! He’s back! You may be right! He certainly looks more mature. Very nice! And I want to thank all the wonderful fans for sharing, and the admins here for posting all these fabulous vids and pics! I just remembered there will be a DVD!! I saw a tweet that they said it will be out soon. Thanks everyone for the great videos and photos!!! Do You Hear What I Hear gave me chills and goosebumps. That minor key is amazing. His voice with the piano and cello, it just goes together perfectly. 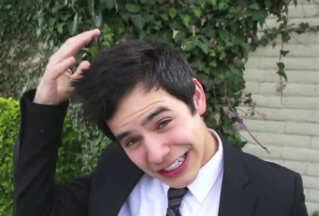 Now I want an album of David with the Piano Guys. He has the ear for this type of music. It’s hard to sing a well known song that’s not written in a minor key, that has been arranged in a minor key. If you take one phrase out of context, it sounds out of tune, but when you hear the whole arrangement, it’s perfect. Minor keys have always been my favorites. Can’t stop watching it. OH MY HECK!!! What just happened?! 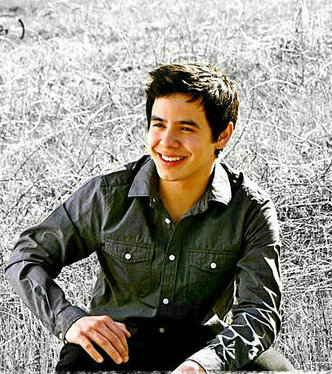 David’s voice is undeniable!!! 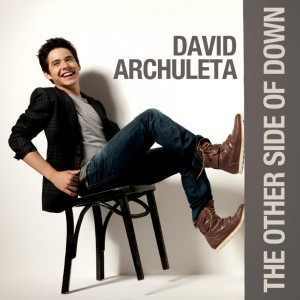 I have to admit that I didn’t know the song “Believe” but on first listen, sung by David, I love it! “Believe” is a 2004 song from the Christmas-themed performance capture film The Polar Express. The words and music were written by Glen Ballard and Alan Silvestri, and the song was performed by Josh Groban. The song is included on the film soundtrack. Holey Moley! That performance of Believe!! (Oh, and I recommend you use ear buds or headphones. Wow!) I can see why they saved it for the finale. 5 songs by David, nicely spaced, each one more beautiful than the one before, ending with that stunning rendition of Believe. Spellbinding!! Yes, yes yes. Yes he is still David. Yes he is still amazing. Yes, I would follow him anywhere. Yes, it was not enough. More please. 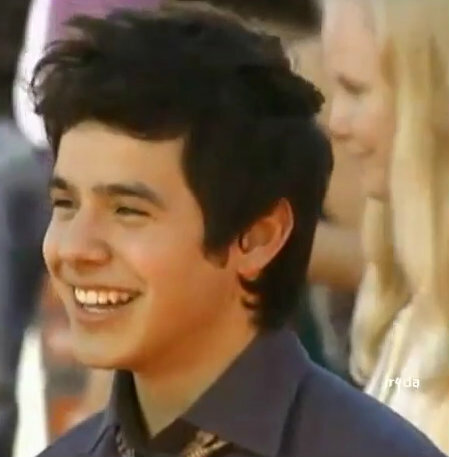 When he was first introduced there was a standing ovation for David. It was obvious the front rows in the audience were die hard David fans. And he was definitely pleased by their (our) welcome. My granddaughter and I stopped across the street for dinner before the performance. The waiter asked if we had come for David. He said every one he had waited on told him they had David tickets. My favorite was Do You Hear What I hear. It was hauntingly beautiful. Gladys, I did not notice the hands. Will look tomorrow and give you my opinion. Your post there is both hilarious and wonderful! Leave it to David to get a Standing O just for being there, before he ever sang a note. And I am not surprised at all. Fans have missed him! So glad you had a great time, Dayzee. 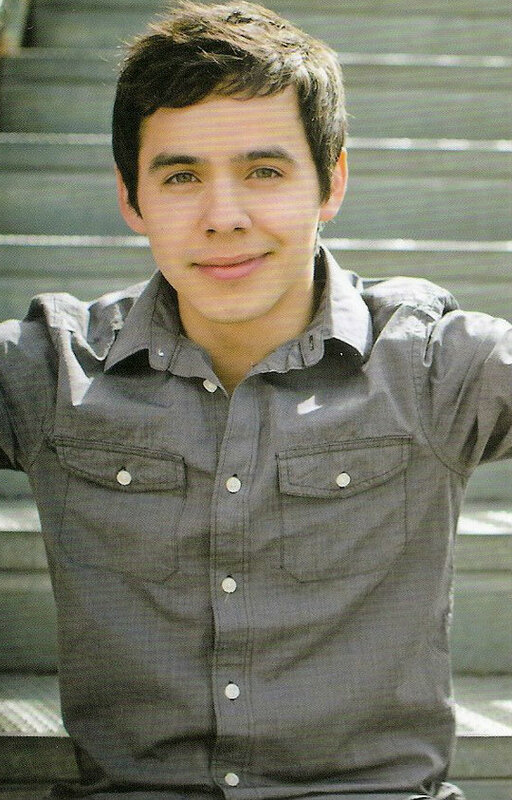 And the guy at the diner saying everyone had David Tickets for another “it’s not a David Archuleta concert” haha I love it! Incredible singing from David tonight. Just wow! His “Silent Night” is a real showstopper. Even from the video you can feel the energy of the audience and how enraptured they were. I did notice that David has adapted some sort of new mannerism — flicking the mic when he hits the note at the end of a phrase or stanza?? He did it a few times for all the songs, I think! That’s new! Thank you for all the amazing videos! Gotta say, my heart actually hurt since I couldn’t be there tonight. 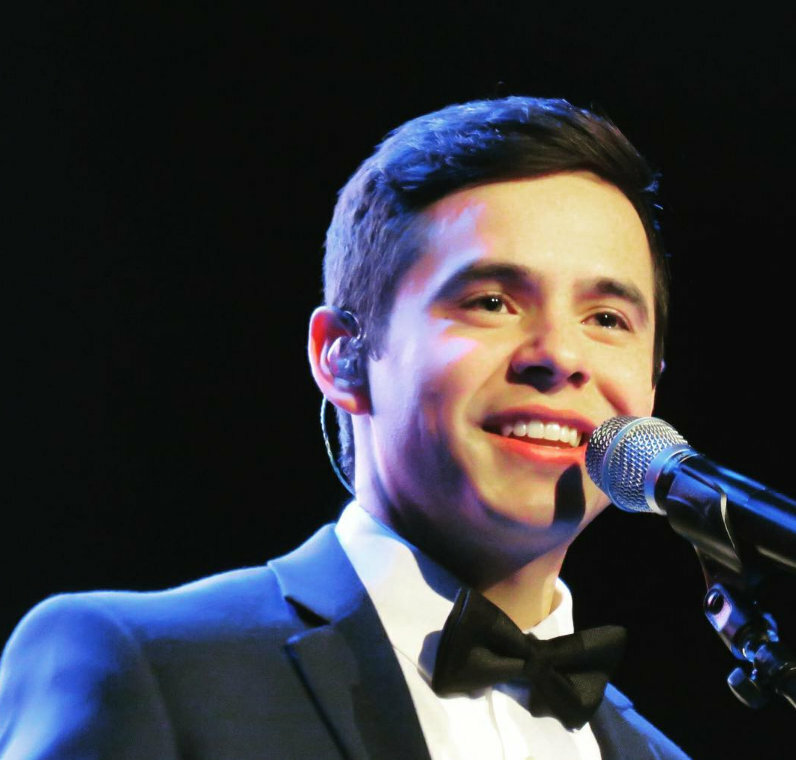 Glad to have all the videos and live tweets from the Archies! Such amazing fans! 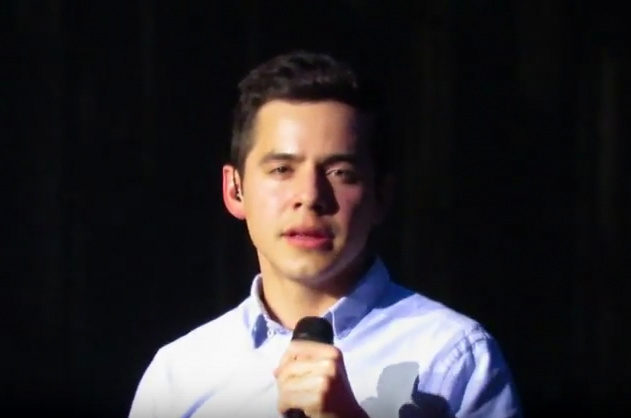 Oooh, just saw this close up video of “Do You Hear What I Hear.” Can see David clearly and the audio is awesome too! 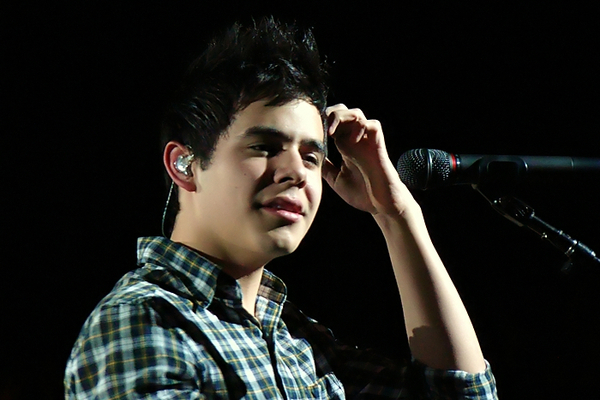 Sorry for the consecutive posts but I just want to say: David’s “The First Noel” is perfection. How I wish a national audience could hear and see this! I wish he gets a tv spot this christmas season! No one sings christmas songs like David does! OMG – I have tears in my eyes for happiness. Just seeing David back on the stage (and doesn’t he just belong there?!!!!!) is joyous! The voice, the voice, oh, my, the voice! Thank you Abrra for the mp3’s, too. If this doesn’t just make it really, finally a complete Christmas season. There’s beena little something missing these past few Christmas seasons – and now….he back! Thank you so much for all the fabulous videos. ” Do You Hear What I Hear’ very different but hauntingly beautiful. I also couldn’t help but notice how shiny his hair looked! I won’t post more videos that will slow down the site, check out the Youtube channels by ShelleyFOD (very close up) and 8throwcenter. Both ladies did an outstanding job taking video. Oh Marlie, it is good to see you as well as David! 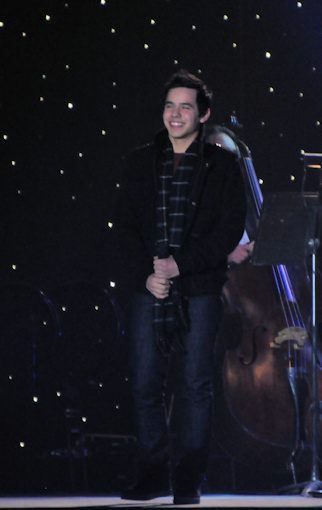 I saw you last at a snowy “David Christmas concert”. I believe that his plane just landed yesterday despite the turbulence! I will have to go and reserve a seat early at Unplugged as I am expecting a full house. I loved the backgrounds and the work Kurt must have done with the songs. Just guessing at that. ‘”Do You Hear What I Hear” has totally captivated me. 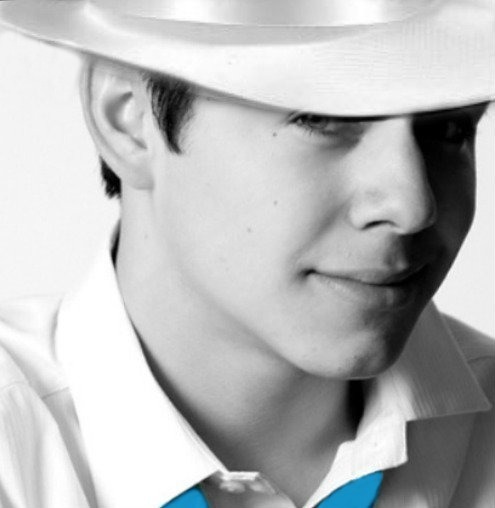 The classical side of David can not be matched by anyone of of his generation and he can sing pop too! If I had a program on television I would want to have this performance during Christmas. Woke up to “The Voice” in my soul. I know I had missed it but wow just wow. I am blown away. I Loved Kevin Olusola on Cello. Piano, Kevin and David need to plan a tour. I would get there,,, one way or another! His voice is in a beautiful place. Great range, and I detected no straining to reach or maintain those higher notes. Thank you so much for the wonderful videos. Next best thing to being there. Thanks so much for bringing that video here. Magnificent! OMG! Was just watching Shelley’s “Believe” video. Outstanding! HD, close-up, snow falling, and fabulous sound. Shelly and 8throwcenter, you are awesome videographers! Thanks so much! Consecutive posts? LOL Not a problem or I’d be in deep, serious trouble. I am so excited to have these videos and am kicking myself because I wasn’t there!!! David was incredible last night!! When Anodrlurker says “no one sings Christmas songs like David does!” she is absolutely right, as we have all witnessed!! something that special and memorable. showed up on that stage again!! see her again!! My daughter, Amber, and her two children then arrived and it was time to be seated. Excitement was certainly in the air as we made our way to our seats. and waved to us!!! We knew he knew each one of us on that row (how could he not, haha) and his gesture to us was as heart warming as it gets!! Guess I could go on and on (you know me) but suffice it to say that it will be worth your purchasing a DVD when it comes out as the whole evening was a very special Christmas tribute. 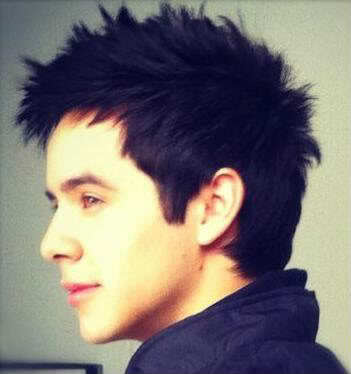 But the best part was all the love felt and shown to David and his love given back to us. Oh!! I forgot one more thank you! To David: I can’t say thank you enough for sharing your incredible gift with us. ♥ You warm our hearts and brighten our days. I feel like it’s Christmas morning. All I can say is Yes Virginia, there is a Santa Claus! and man oh man can he ever sing!! That voice that voice that VOICE!!!! Welcome back David! absolutely mind boggling , his talent. My hair is standing up on end. Can’t imagine how it felt to be there, with that voice resonating through the venue. Wow, wow, wow, wow, wow – from the beautiful tailored suit to the stage presence to his glorious vocal musical instrument – amazing! Lynella #59, love your comment, DYHWIH my favorite of the night too, a.m.a.z.i.n.g. The arrangement, the cellist and pianist, haunting and spellbinding. Another example of why he is separate from the pack. I would love to hear more of that. Thanks Abrra for our gift of mp3’s, that will be my new Christmas album for the season. I am so happy to see him showcasing those immense vocal skills and his stylizing. You hear tons of covers and cringe a little thinking “they kinda butchered it.” But he has an incredible gift for taking it and making it so uniquely his own, but keeping it recognizable and within comfortable parameters. What do you do with a pop/rock star, non-trained-but-i-can-do-it-anyway classical singer, latino crooner, gospel singer, soulful r&b/jazz artist all wrapped up in a salsa dancer? Idk, but I hope they can figure it out cause I want them all! Seeing the trees in the video behind him during the Glorious performance made me think he is small in stature, but when he sings he is as tall as a mighty redwood. just one more little thing – close up of DYHWIH 4:08-4:12 – the smile of appreciation at the incredible talent of the cellist. 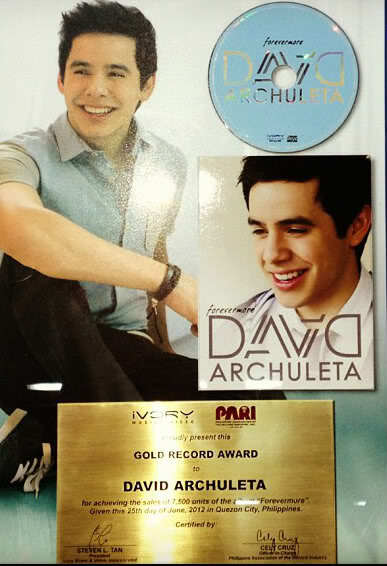 David knows so many fans after his touring and return performances in many of the well known cities and countries. I think that we would have really surprised him if even more fans from all over had been there…. They say that singers often look out into the audience to find familiar faces as it helps with their focus when singing. I see the names of long time fans who were there who have been great supporters in many ways during his early career years on the stage. So everyone else who couldn’t be there and would love to have been attending surely will be there next time. Emme, I loved that smile for the cellist. The cello fellow was extremely talented. It is great to see such talent working together. Sky, it is Christmas morning. These are the bestest gifts for me. It is wonderful to come here and be able to see everything repeated as often as you wish. Thanks to all for their efforts. I had forgotten how his voice can make you feel wrapped in a blanket of “life is good”. That intangible feeling he bestows that everything will be all right. Lynnella, I got goosebumps just reading your description of what David is doing! I’ll have to research that minor key thing. Pattirae, OH MY GOSH!!!! David saw all of you and acknowledged you all! I so wanted confirmation of that for so many reasons., I’m accepting the fact that I couldn’t be there but it hurts. It reminds me of the time Silverfox, Sandybeaches, Angelica, Marcia and myself at Motab all stood in front of him and he looked at each one of us and said you’re all here. So glad you were there to represent. Our time will come, I’m sure of it. Dayzee, You said it so beautiful “wrapped in a blanked of life is good”, the archuleta is good at that and it feels so good to be reminded of it. Emmegirl! Yes, to every word you said!!!! So glad to see you! I’m floating in the clouds listening over and over to each song, wow just wow. Djafan – David is a master at minor keys. Think of What Child is This and the song he wrote Falling. I’m not sure if that whole song is minor, but it has a lot of phrases that are. Minor keys are always kind of melancholy and more dramatic. I think David really has a flair for the dramatic. I could see him in a Broadway play. Despite what Simon says, that’s a good thing. David has the most distinctive voice of all the young singers out there today. 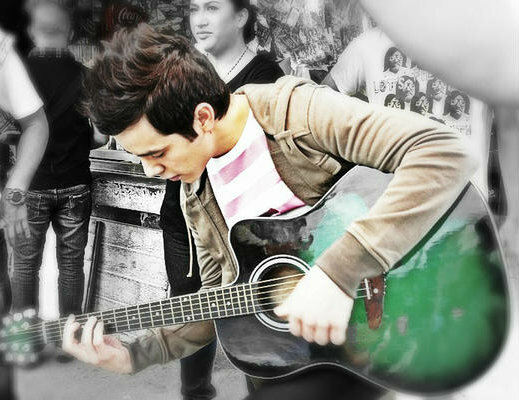 And, he has a talent for knowing just what to do with a song. His ad libs, hums, and all the rest are always perfect and in perfect key. He’s just amazingly talented and blessed.